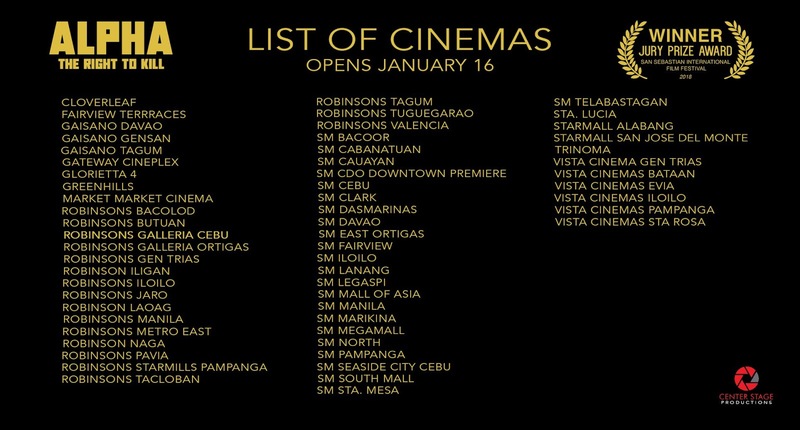 15 January 2019 Mandaluyong, Philippines- The red carpet premiere of Brillante Mendoza’s film “Alpha: The Right to Kill” took place at the new Director's Club Cinema at The Podium in Mandaluyong City, Metro Manila, Philippines on January 11, 2019. Joining the Cannes Film Festival 2009 Best Director at the event were the film’s scriptwriter Troy Espiritu and lead actors Allen Dizon and Elijah Filamor. Film Development Council of the Philippines chairman Liza Diño-Seguerra attended the “Alpha: The Right to Kill” red carpet premiere with former National Youth Commission chairperson Ice Seguerra. Directors Joselito Altajeros and Louie Ignacio and former Tourism Promotions Board chief operation officer Cesar Montano also graced the event. 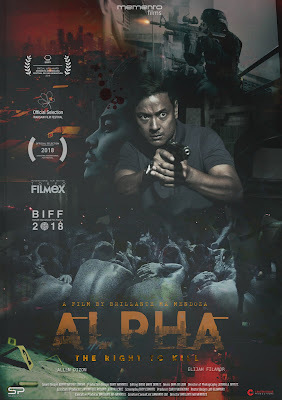 In October 2018, “Alpha: The Right to Kill” was shown at the Busan International Film Festival in South Korea and the Warsaw International Film Festival in Poland. It was then screened in November 2018 at the Minsk International Film Festival in Belarus, Shaken Aimanov International Film Festival in Kazakhstan, Tokyo FilmEx in Japan, Cairo International Film Festival, Torino Film Festival in Italy and Singapore International Film Festival in Singapore and in December 2018 at the Kerala International Film Festival in India.